I saw this dress on Jessica’s What I Wore blog and it’s just so cute! 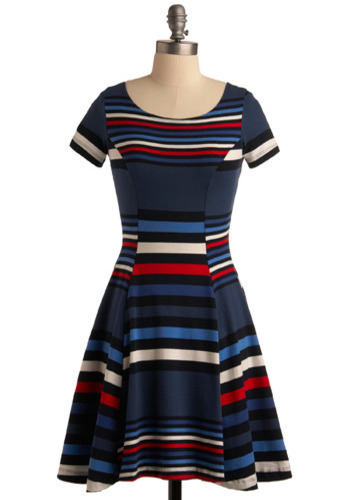 I love the cut and the different coloured stripes make this dress so adorable. I’m really tempted to get it, but it’s not exactly in my price range (it’s $115.99 on ModCloth). And I’m a bit hesitant to buy clothes online; I always have trouble finding clothes that fit great (small waist, but wide hips).